Hello everyone! I have a card set and matching box to share with you today. One of the hostess stamp sets Cute by the Inch and a pack of designer paper Elegant Soiree, which are new items in the Stampin Up 2010-2011 Idea Catalog, were used in creating this set. I hope you find inspiration in making one of these for yourself. 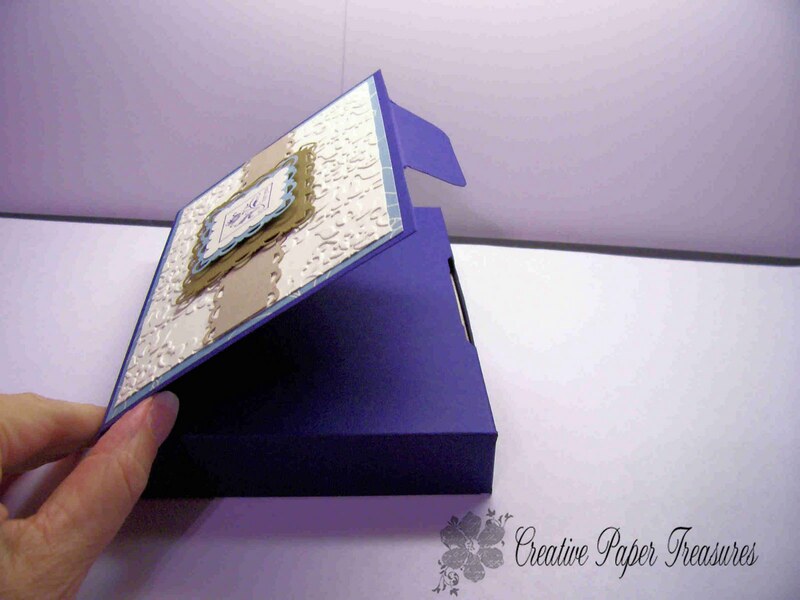 The base of the box is made with Night of Navy cardstock. I used the scallop square punch for the focal image which is stamped with Night of Navy on Very Vanilla cardstock. This was matted on a piece of Baja Breeze and Soft Suede punched with the Scalloped corner and border punch. The Crumb Cake strip was edged with the scalloped border punch and adhered to the center of a piece of Very Vanilla that was embossed with the Vintage Wallpaper embossing folder and matted on top of some Elegant Soiree designer paper. The card set includes six cards using the Cute by the Inch set as focal points and Elegant Soiree designer series paper. 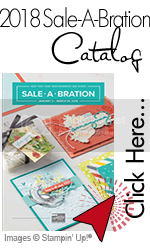 Accessories: Vintage Wallpaper EF, Scallop Trim border and corner punch, Scallop Square punch, Modern Label punch, Scallop oval and 1-3/8 oval punch, pearls, brads and rhinestones from stash. I hope you like this project and find inspiration in creating and designing a set for yourself or a gift. Leave me a comment for any suggestions or likes and dislikes. dianne.. this is a beautiful set of cards.. u know i like ur idea of matting those scalloped squares.. i think i ll have to give it a try soon.. looks fantastic!! 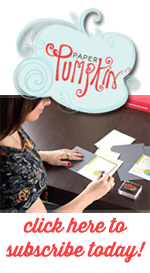 Just discovered your blog from Stampin addicts (I think). Love your work! This is a beautiful set!. TFS! I just stumbled across your blog today from LNS! It is great. I love this set for cards you have done with the cute by the inch and Elegant Soiree. They are awesome! Am wondering how you made the box to hold the cards. Was it a template? A die? I'd sure like to make a set like this for my Mom for Christmas and I thought the box was GREAT! !